2010 looks like being an exciting year for Damien Leith. He’s putting the pedal to the metal – currently touring with Ronan Keating and Tina Arena on their Aussie jaunt, being named Ambassador for the Barnardos Mother Of The Year awards, announcing the release of his brand new book ‘Remember June’, having his new single ‘Forgive, Forget’ taken to radio on Monday and a solo tour of the country kicking off next week! It’s exhausting just thinking about. Damien’s “Keys & Strings” national tour kicks off in Toowoomba next Thursday, before making stops in New South Wales, Victoria, Tasmania, South Australia and Western Australia, before once again touching New South Wales and Queensland soil from late April. Check the comments section of this post to find out where Damien’s tour is scheduled to play. 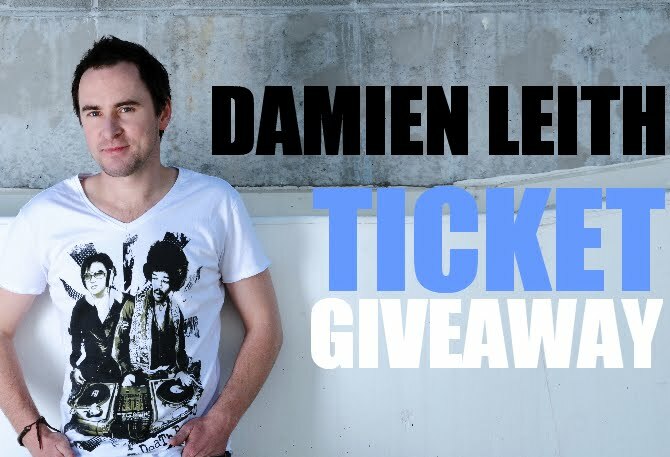 To celebrate the tour, auspOp and the tour’s publicists are giving you the chance to win a double pass to one of two of Damien’s shows! For your chance to win, simply send us an email containing your name and address (and a contact number) to auspOp@ymail.com with “Damien” and the show you’d love to see in the subject line. (For example, if you’d like to see Damien’s Hobart show, simply place “Damien – North Perth” in the subject line.) It’s that simple! Good luck! Competition closes on various dates : 11:59pm on Tuesday March 23 for the Adelaide date and 11:59pm on Wednesday March 31 for the North Perth date. Enter as many times as you like. 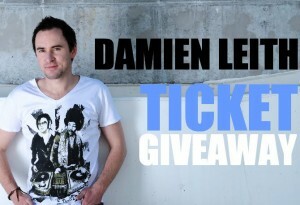 Two very lucky winners will each receive a double pass to one of the Damien Leith gigs listed above. Each winner will be notified by email/phone, with tickets available for collection at the venue. Airfares, transfers and associated travel are not included in the prize. It is the competition winners’ responsibility to arrange transport to the event. Details of all entrants are deleted after the closure of the competition and only winners’ details are passed onto the tour publicist for prize collection purposes. Any further queries, hit us up at the email address supplied.